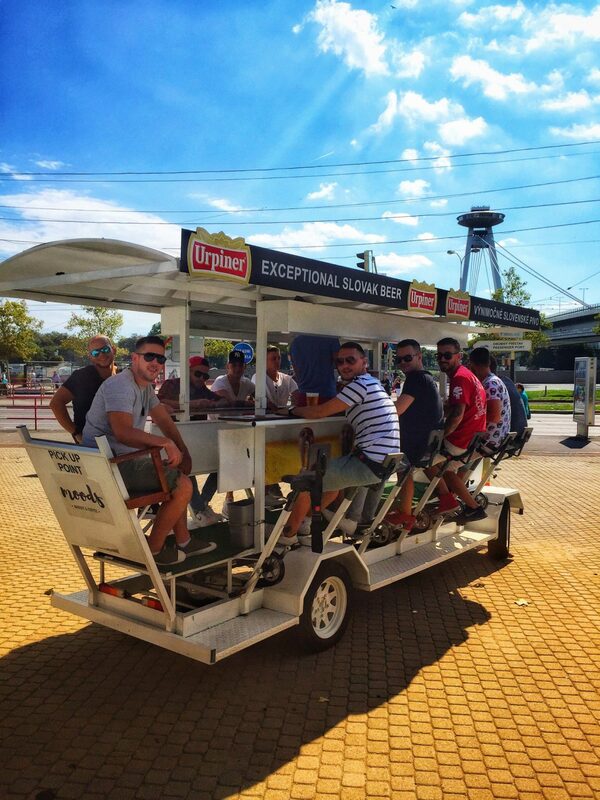 Enjoy the hilarious beer bike tour in the little big city! 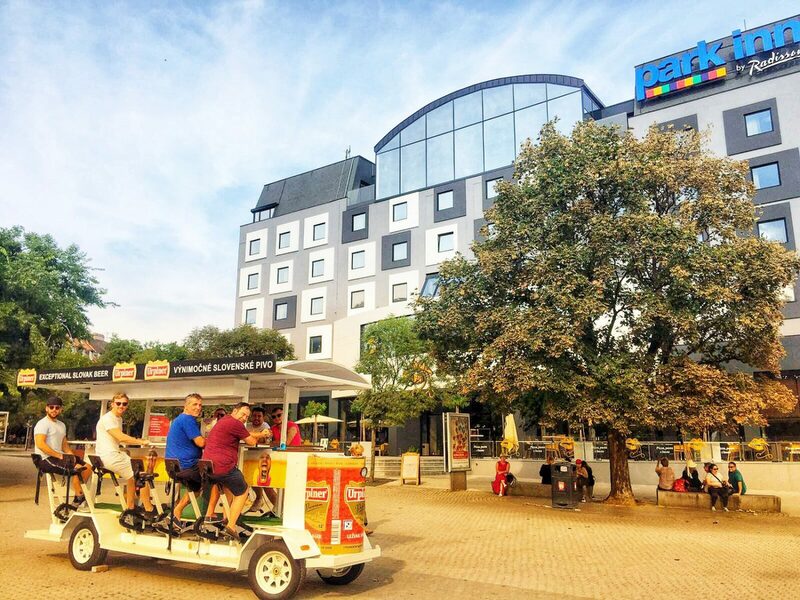 This is an absolutely delightful way to discover Bratislava, with its compact, yet beautiful historical city center with a lovely chill-out vibe. 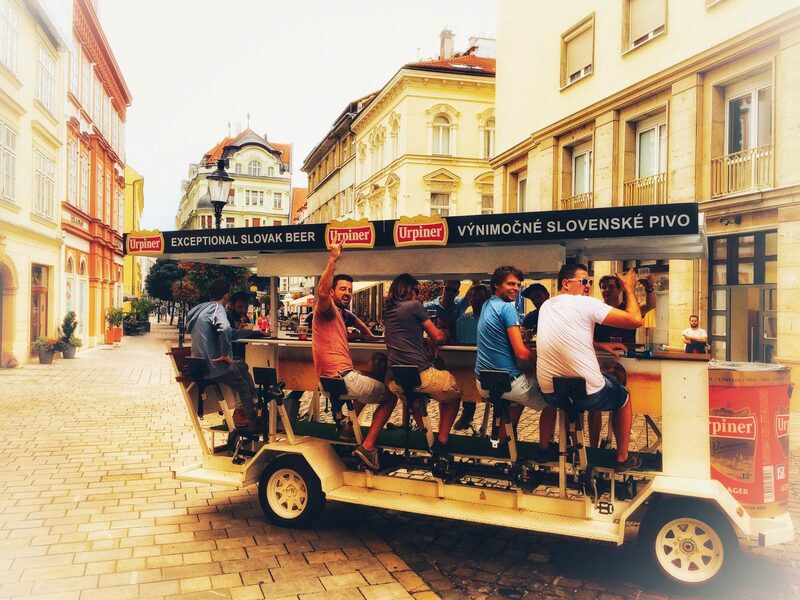 The beer will become your fuel as the beer bike will take you anywhere in the city center within minutes! 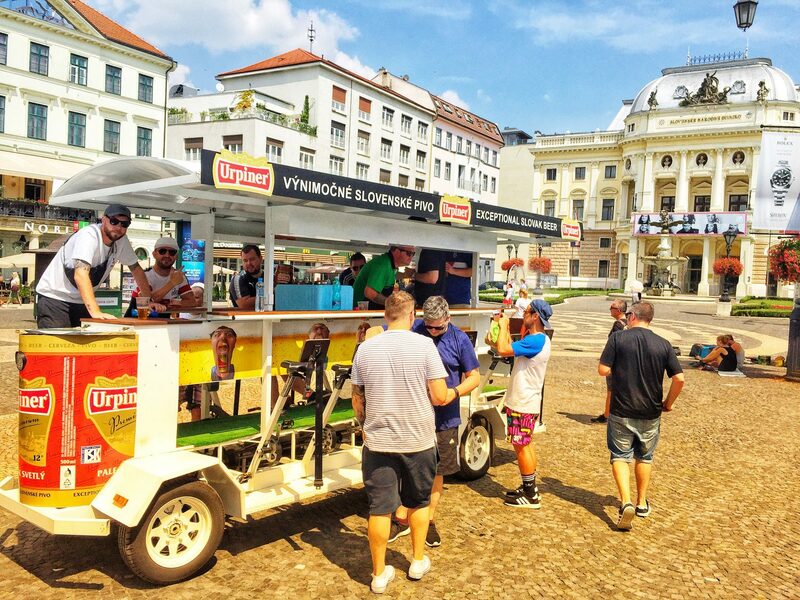 As many as 16 people (8 is minimum) can enjoy the beautiful beer ride through Bratislava! 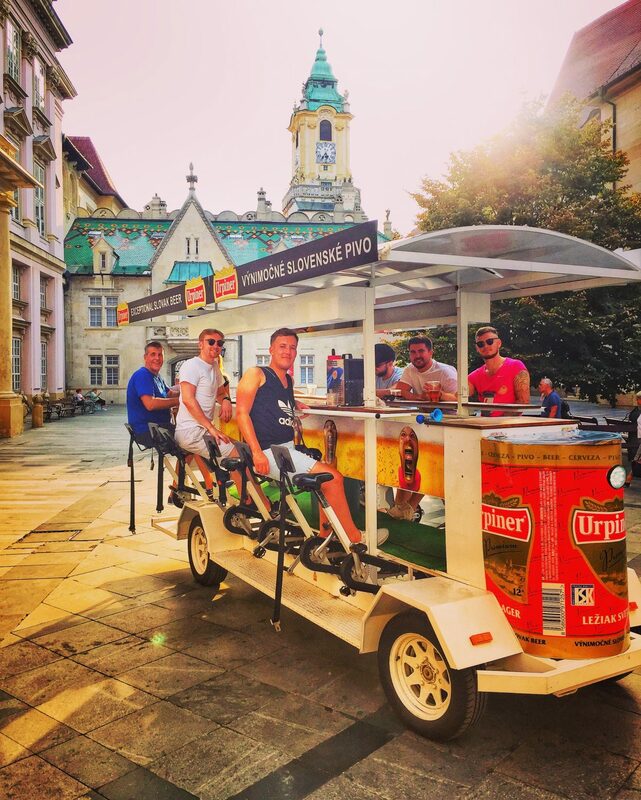 Your entire stag commando can pedal, drink beer and explore the streets of Bratislava during this amazing 90 minutes tour. And when we say beer, we mean a lot of it! 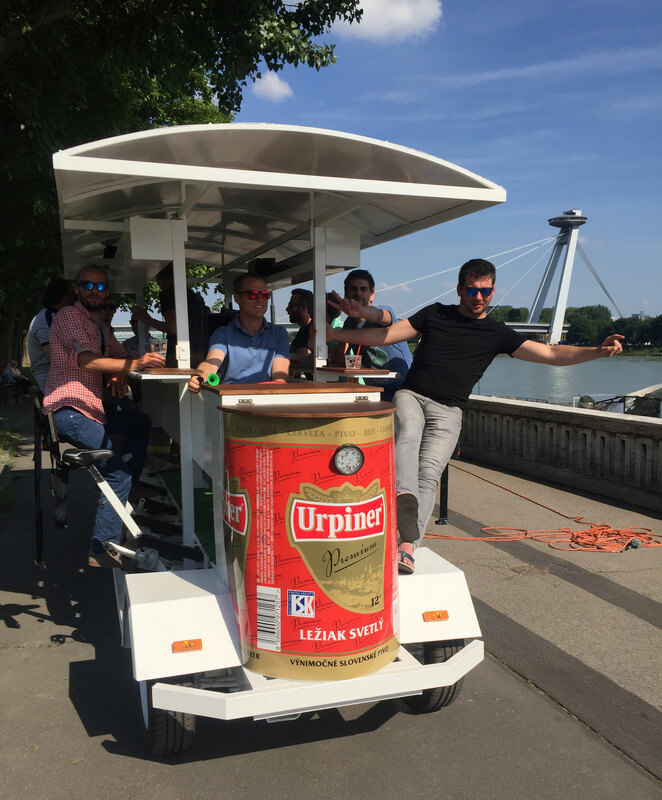 The 30L keg will get you to places ordinary tourists can only dream of. 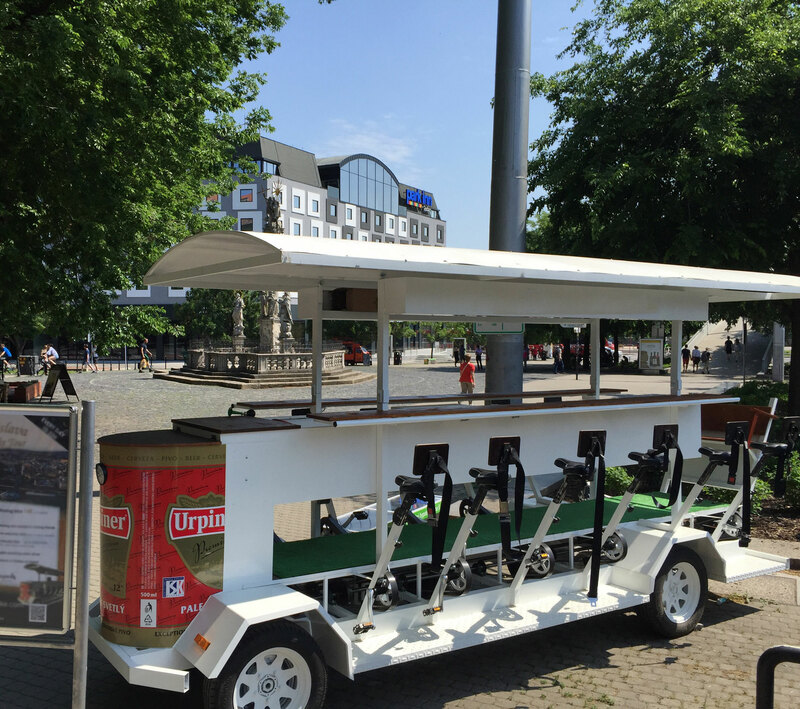 You can even play your own music from an USB stick during the ride. 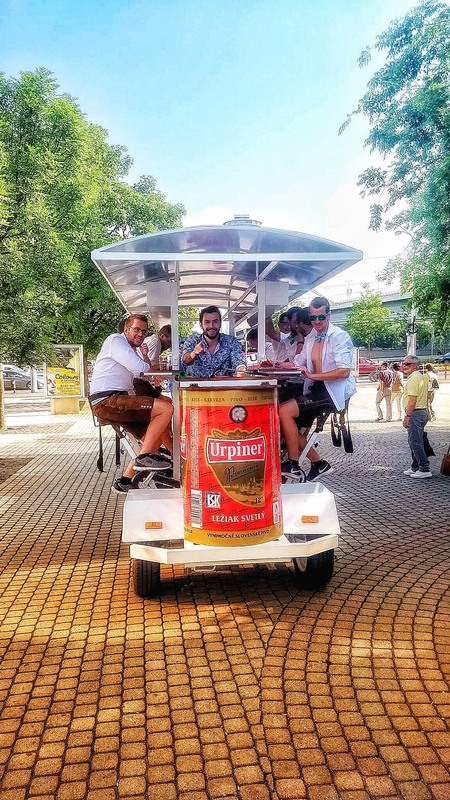 In case the beer and bike combination doesn’t sound too safe for you, we have a soothing message for you – the bike features safety belts for each biker. 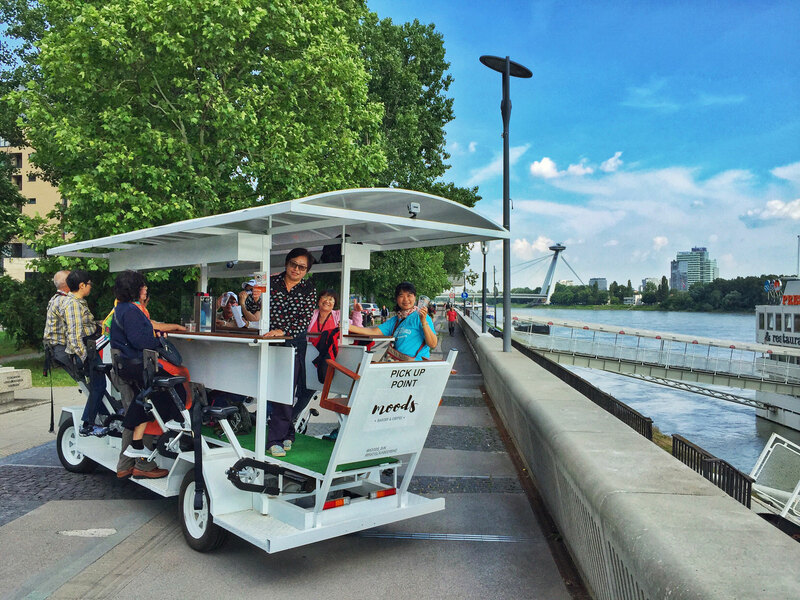 The activity is available from 10-22:00, with the last ride going at 20:00 and you can count on our lovely local guide being there for you the whole time!